Palpatine calls a meeting of his bravest, wisest, and most influential military officers in order to introduce them to his new right-hand man, Darth Vader! The new Emperor lays out his plans for his Empire, and those who have other ideas are dealt a swift lesson by Vader’s blade. But one Captain wants nothing to do with the new government, and plans his defection. But what do you do when the Dark Lord of the Sith is determined to stop you? This issue marks Vader’s first appearance in Star Wars continuity since his „introduction“ in Revenge of the Sith! 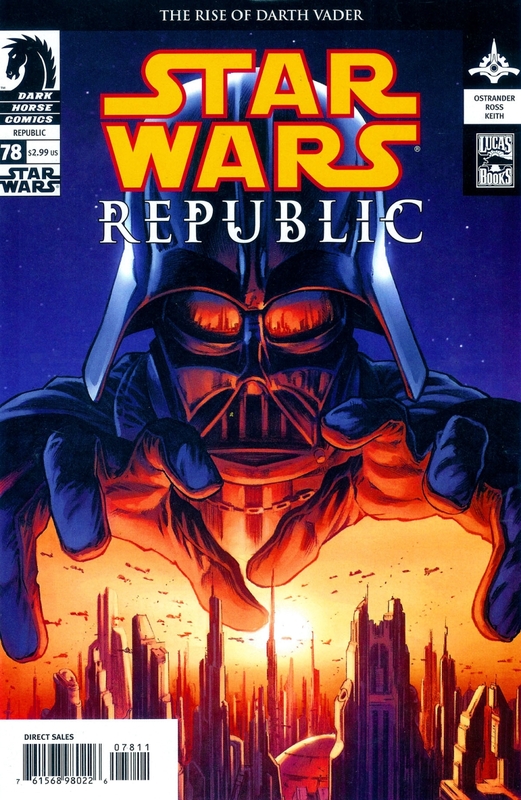 And, long-time readers of Republic will see a plot come full circle in a most unexpected manner! Guest artist Luke Ross takes a break from Samurai: Heaven and Earth to shake up an entire galaxy!